James Collins Guitars, hand build electric guitars in the UK using the finest tone woods from around the world together with Bare Knuckle pickups. 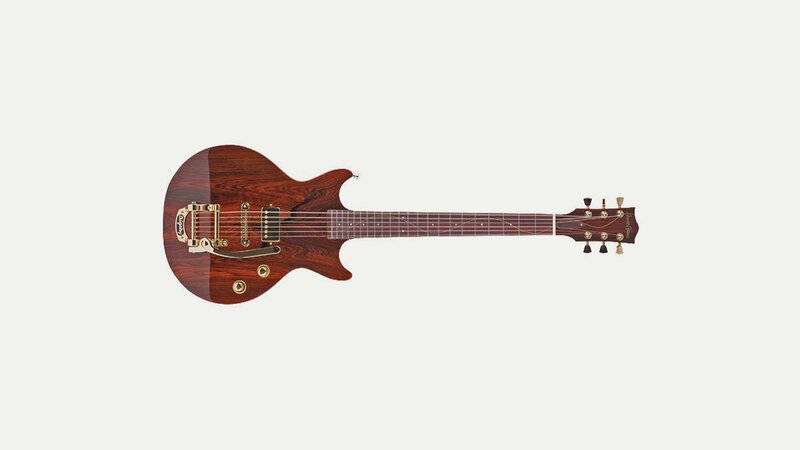 Their entire range have a maple wave form that is hand cut through the bound fretboards and the head veneer and all necks are strengthened by a bound stringer which runs through the neck. The range includes the GTA, made from a single piece of mahogany; the GT is the benchmark hand-carved top model with 2 pickups; the GTS models feature the best in exotic tone woods; the GTO exclusively features an Ebony carved top, Ebony fretboard & Maple/Ebony Binding. All guitars come with a custom James Collins Hiscox hard case.